Happy birthday, ranger! Recently, fans of the country’s most awesome public lands celebrated the National Park Service centennial. Since 1916, the National Park Service has been hard at work preserving natural and cultural resources for the enjoyment, education and inspiration they give us all. The Park Service’s first 100 years have included tremendous growth, but this growth hasn’t been without its challenges. Ballooning numbers of visitors, global climate change and local environmental degradation are among the issues keeping the National Park Service busy. Given this context, and in alignment with government policy, the Park Service has placed an important focus on greener facilities since 2007. Their Sustainable Buildings Implementation Plan outlines efforts that are “minimizing the impacts of buildings on the environment, improving utility metering, and developing strategies for integrating sustainability into the operations and maintenance of historical structures.” As of the most recent NPS count, 80 park buildings have achieved various levels of LEED® certification. In addition, Carlsbad Caverns, a National Park in New Mexico famous for limestone caverns of impressive size and form, turned an environmental management challenge into a rehabilitation opportunity by leveraging SITES®, the world’s most comprehensive system for developing sustainable landscapes. Carlsbad Caverns is home to a SITES-certified project, and was conceived to address pollution found in cavern pools from parking lot runoff adjacent to the Bat Cave Draw and visitor center. The center used the SITES Rating System to guide the project and validate the use of low-impact strategies, such as removing the parking lot, restoring the area to its natural state by using vegetation native to the park and using green infrastructure to reduce and manage runoff in new parking areas. Additional work was also done to collect and treat runoff in new parking areas to protect the cave and to revegetate areas adjacent to the visitor center and the park’s entrance road. SITES advances ecologically minded strategies, and when used in projects at our National Parks, helps ensure that we are able to continue visiting our parks with the least possible impact for years to come. By aligning land protection with environmental design and management, SITES ensures that we can both visit and protect our National Parks. The restoration project at Carlsbad Caverns is part of the outstanding work in conservation, education and engagement the National Park Service has been doing over the last 100 years. The centennial is a great opportunity to celebrate this legacy, and to continue to expect big things in the next 100 years. Happy 100th birthday to the National Parks Service, and happy 125th birthday to my own favorite park, Yosemite! 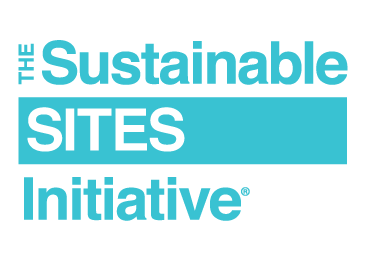 For more exciting examples of how SITES is helping align land development and management with innovative sustainable design, visit the certified project library.